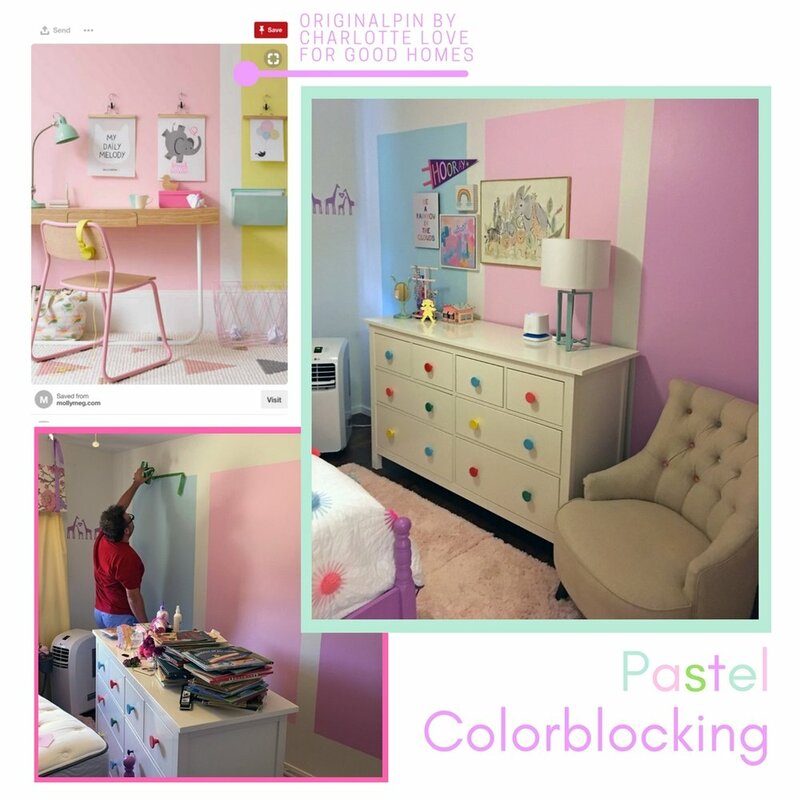 When I first saw this pin from Charlotte Love for Good Homes I knew I would want to do this to Emerson's room. She had a pretty mellow nursery so when she moved into the big girl bed we thought we should update all of it. Mind you, she's only 3. 3 going on 40 but still. I am terrible with measuring so Tim helped me figure out the dimensions. We first measured the whole wall, then I told him roughly how many boxes of color and roughly about the size I wanted each box and we figured out the sizing in between afterwards. Simple math will get you there but if you have someone to do the measuring make them. We brought home roughly 30 swatches of paint and narrowed it down.